Scientists who work on human behavior claim that a lot can be understood of a person’s character from his/her everyday habitual actions. If you are used to eating quickly, you might be ambitious, purposeful and impatient. Area slow eater, you like to derive enjoyment from life and keep things under control. Mix things while eating you are accustomed to multitasking and might often mess things up. Divide food on your plate and eat each part separately then you are a systematic person who likes keeping things well-sorted. But you might find it hard to get used to new circumstances. Like trying new dishes then you are probably an ambitious person who loves taking risks. 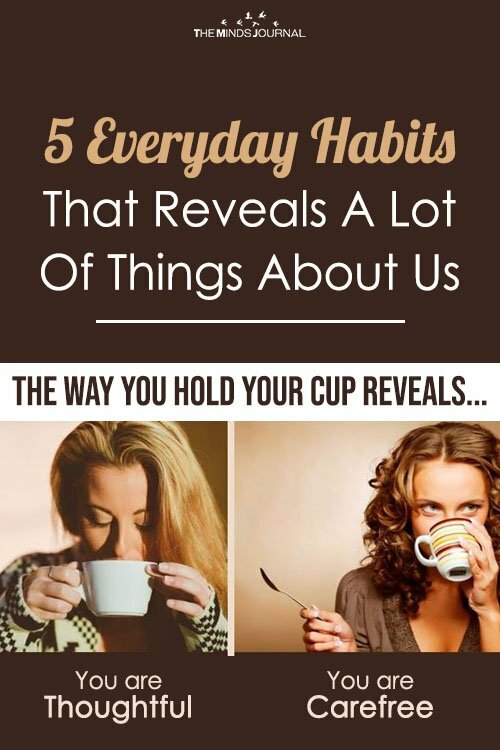 Are very particular about what you eat then you might be prone to anxiety and nervousness. take a lengthy bath then you are a person who likes to do things with time. You take things easy and like to stay relaxed. Daydream while showering then you are a creative person. You love to imagine. Sing while showering then you are a sociable person who likes to make friends. Shower while brushing your teeth then you are good at multitasking. Take a shower quickly then you care more for others than for yourself. Always use a sponge then you are a thoroughly responsible person and you do even the smallest of tasks with utmost devotion. Read, you are a kind-hearted person who is empathetic by nature. Play video games or watch TV then you are perhaps impatient and have difficulty in accepting opinions that oppose yours. Look into a cup, you are contemplative and inward looking. 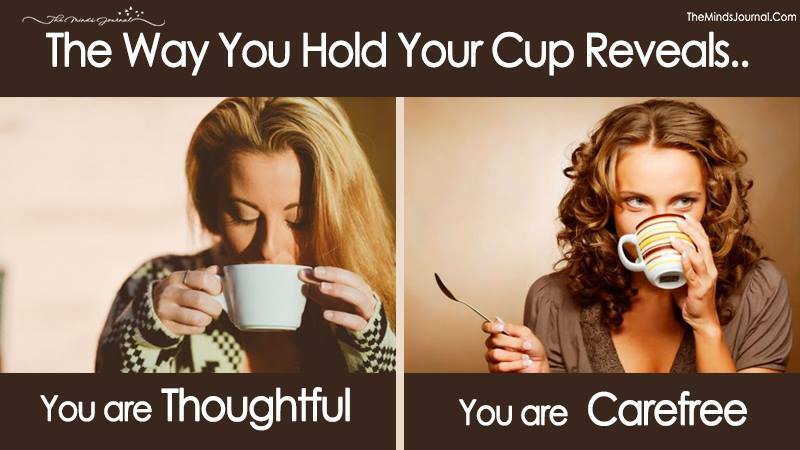 Look over the edge of a cup, you are talkative, expressive and carefree. Roll over then you have fine leadership abilities and hold the upper hand in a relationship. Roll under then you prefer to follow.